As the saying goes, your customers are your best reference, if you do not yet have a neighbour who has bought a tractor from Chandlers Used Massey Tractors, you might like to read the feedback left below from previous customers to find out about their buying experiences. Please send Chandlers Used Massey Tractors your feedback about your experience in dealing with us, we welcome your comments. 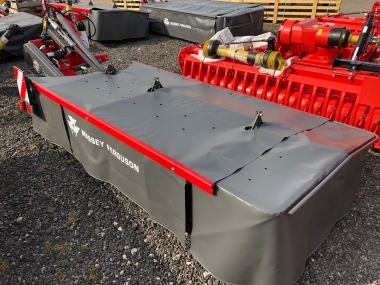 I was looking to purchase a good Used Massey Ferguson tractor for agricultural contracting specifically for maize drilling and grain crimping and bagging. 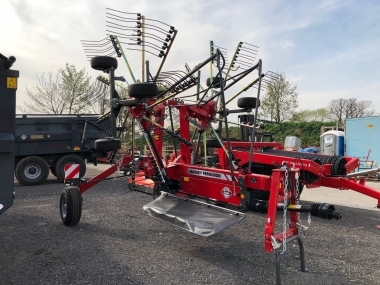 The requirements I had were making it difficult to source the tractor I required, Chandlers (FE) Ltd had such a large selection which meant I was able to find a tractor that met my specifications. I enquired with Andrew Sherriff (Agricultural Sales Representitive at Barnack) who I found to be very helpful and knowledgeable. Andrew followed up my enquiry quickly and professionally. I purchased a good used Massey Ferguson 5475 as it was good value for the money. I will in future try Chandlers (FE) Ltd if I require another good used Massey Ferguson Tractor. Gerald Williams for C.B. Williams and Son, Towcester, Northants. 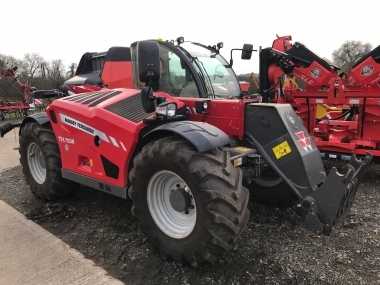 We have been buying Massey Ferguson Tractors for our farming business for the past 15 years and have found them very reliable and well priced for the mixed arable and livestock tasks for which we carry out. 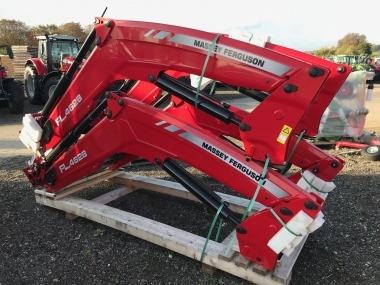 So when we were looking for another used Massey Ferguson we decided to check Chandlers (FE) Ltd Used Massey Ferguson website out. After finding a used MF5455 which we required for mainly loader work around the yard and also to use as our main drilling tractor with a 3m combination unit we called Graham Peall. We found Graham to be helpful and very prompt in dealing with our enquiry he was also able to give us history on the tractor. 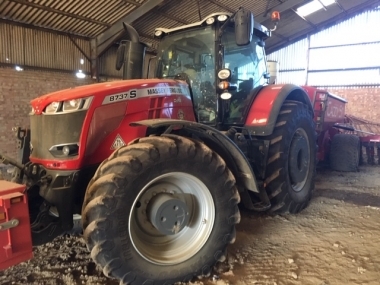 After purchasing and receiving the tractor we can honestly say how very happy we are with the overall service offered by Chandlers (FE) Ltd, the sales and aftersales service has been very professional. We hope to use Chandlers (FE) Ltd again in the future for used Massey Ferguson tractors and implement replacements. I was very pleased with the service I received from Chandlers Used Massey Tractors. I was looking for a good used MF6480 tractor, with the right size wheels for Maize drilling. Chandlers Used Massey Tractors had a good selection of tractors to look at, and found me the right one for the job. 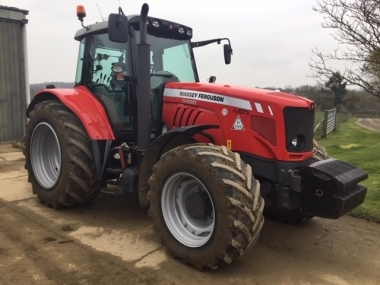 I have purchased quite a number of good Used Massey Ferguson tractors over the last couple of years from Chandlers (FE) Ltd. I deal with Graham Peall from Spilsby depot whom I find to be very helpful and professional. I required a tractor for fertilizer spreading and spraying. 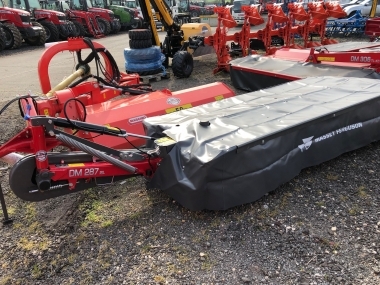 I saw the MF6170 advertised on the Chandlers (FE) Ltd Used Massey Ferguson Tractor website, I spoke to Graham who gave me all the information and extra photos I required, I purchased the tractor without seeing and am very happy with the deal. I will use Chandlers (FE) Ltd again for future purchases. Chandlers Used Massey Tractors supplied me with a used MF3080 tractor. We went to look at the tractor on the farm of the previous owner, with the Chandlers salesman after finding it on the internet. It was just as described before hand, and from the photo I had seen on the website. Chandlers mobile service now look after the tractor for me.